CommonLook PDF, a plugin for Adobe Acrobat, is the optimal solution for government agencies, corporations and other organizations that need to ensure their PDF files meet Section 508 and other requirements for accessibility. 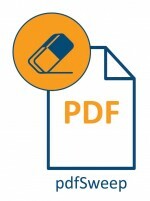 PDFlib is the leading developer toolbox for generating and manipulating files in the Portable Document Format (PDF). With eDocPrintPro we will enable you to create PDF documents from any application on any job, without any additional license cost. Multiple post processing – modular expansion through plug-ins.